Attention Steve Pieczenik, I have it from the highest sources that your video has been hijacked by dark forces and has been implanted with mind altering effects that are dangerous to anyone who watches the video. I have been warned to get Galactic Level protection before watching it, but I have refused to watch it at all. Please have the video removed immediately since it is your property and right to do so. You may re-post the original SAFE version of your original video for all to watch and enjoy. I have been told that this version has evil mind programming that is dangerous to watch. The last thing we need is for you to be compromised. Check with your sources to verify what I have said in this post. You will find that I am very well connected and my intel is top notch. 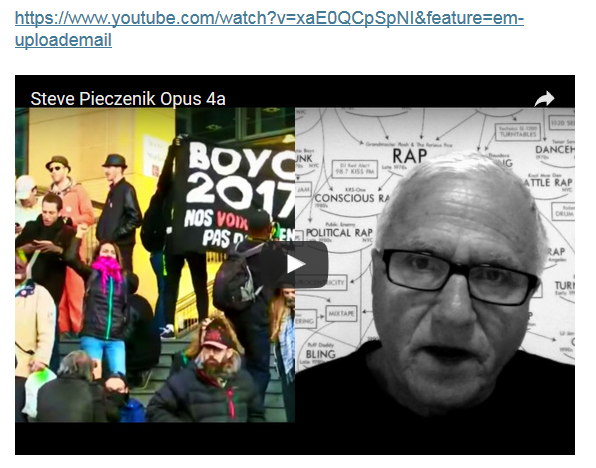 Notice To All Light Workers: Please post the link to this post on Steve Pieczenik's face book page, video sites and anywhere Steve is, so that he can check this out and take action. Also post this link to the video site and notify the video channel owner. He could be held accountable for any damages cause by this video to people who saw it on his channel. AGAIN, DO NOT WATCH THIS VIDEO, I HAVE IT FROM THE HIGHEST SOURCES IT HAS BEEN CORRUPTED BY THE CABAL WITH SOME SORT OF MIND ALTERING PROGRAMMING.